Sunday Quote!- Setting aside Luther? | J.W. Wartick -"Always Have a Reason"
Sunday Quote!- Setting aside Luther? During October each year, I read some books about the Reformation to inform myself about that vastly important time in church history. October 31st is Reformation Day, of course, and so I thought I’d share a quote this Reformation Sunday from one of the books I’ve been reading. This year, Reformation Readings of Paul was high on my list, and I received a review copy from InterVarsity Press to devour. Luther referenced these church fathers but did not see them as the authority on exegesis or interpretation of the biblical text. Similarly, Fink notes, we should not be afraid to set aside Luther if we should find that his interpretation of a passage is mistaken. 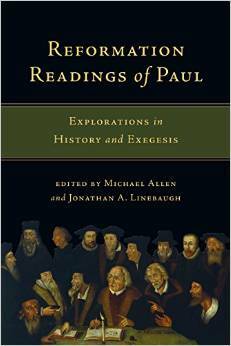 David C. Fink “Martin Luther’s Reading of Galatians” in Reformation Readings of Paul eds. Michael Allen and Jonathan A. Linebaugh (Downers Grove, IL: InterVarsity, 2015). « Really Recommended Posts 10/23/15- Apologetics, Diatoms and the Flood, patriarchy, and more! On a more serious note, if only the church were not split such that we could all simply call ourselves “Christian” and know what was meant immediately! I enjoy reading Luther. But I agree…we must be driven by the desire to be biblical and not just a person for the sake of the person. Thanks!